The old city of Ronda, dating from 711, is based 113 km from Málaga and reaches 800 meters above sea level. The New Bridge is the symbol of the city, with its impressive precipice separating the Old City and its most recent part. This piece of art has got a height of 98 meters, built of stone and composed of 3 arches. 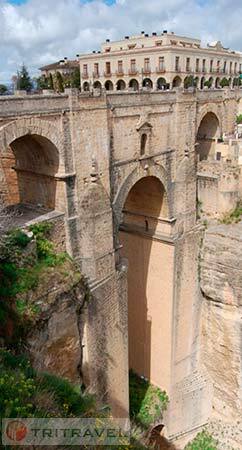 Ronda was built on a plateau notched by a deep gorge. 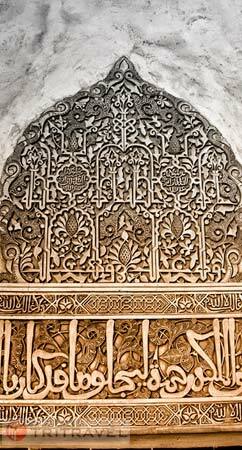 Because of its location, the city was one of the last muslim bastions in Andalusia. The moorish old city is typical of the Andalusian white villages. 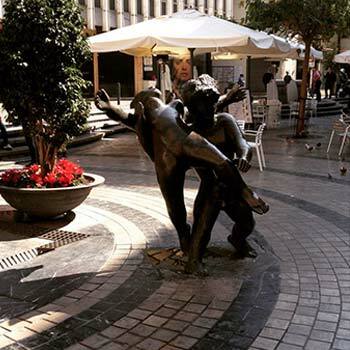 On the other side, you will find the modern city, oldest Spanish arenas dating from the end of the 18th century, that’s why this city is considered like the cradle of the bullfight art. Capital city of Andalusia, the fourth largest city in Spain, built on Guadalquivir shores, the main river of the region. For centuries, boats containing gold and products from America arrived from this river to be delivered to the Spanish Kingdom and the rest of Europe. 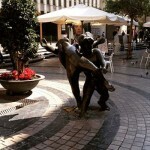 Seville is full of an amazing artistic heritage, unique in the world where different civilizations kept their footprints: the Romans with emperors Trajan and Hadrien, Visigoths, caliphs from Córdba from 7th century to 11th century, and the Almohads with the famous king Al-Mansour. Farmer capital of Al Andalus in the 10th century, Abderraman III decided to turn the city into an independant caliphate and a flourishing city, cultured and refined where the three religions, christian, muslim and jewish lived in harmony. 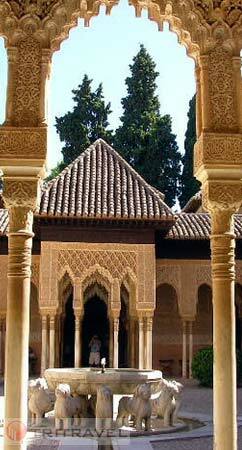 The Mosque-Cathedral is an amazing arabic construction supported by around one thousand marble columns. Its originality is legitimate because there is a gothic, baroque and plateresque cathedral included is the Mosque. The city is built below the Sierra Nevada, montain range which reaches 3398 meters, the highest sumit of Spain. It is a magic set of monuments, alleys, districts and lights. The atmosphere is difficult to describe, arab for 700 years, all historial districts are marked by a refined culture which dissolved with the arrival of christians in 1492. This is the last spanish moor city.